At the cornerstone of any fine wine investment, and responsible for the most prolific production of fine wine across the global, Bordeaux is unquestionably at the heart of our trade. 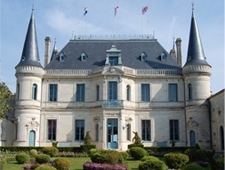 Although the region is also famous for top-quality whites, desserts wines and even sparkling crémant, Bordeaux’s production is highly-dominated by its red wines. At BI, we sell more red Bordeaux than anything else, so it is important that we are consistently able to bring the finest examples of both young and mature red Bordeaux available anywhere, and with impeccable provenance. We have a great range of Bordeaux wines; from multiple-case lots of top-vintage first growths, to odd bottles of some of the oldest and rarest wines, and cases for those who just want a wine for everyday drinking. Wines marked with are LiveTrade wines. Click here to read more on LiveTrade.